Yamaha C7X Conservatory Classic 7'6" Grand ( Availible Finished ) Polished Ebony , Satin Enony , Polished Mahogany. Appearing on famous concert stages, international competitions and prestigious music events throughout the concert world. C7's mellow sustain and tonal beauty are an inspiration to the performer's creativity and imagination. Yamaha's commitment to the continuous reevaluation of the core processes of sound creation has made the grand pianos of the C series the best-selling grand pianos in the world. 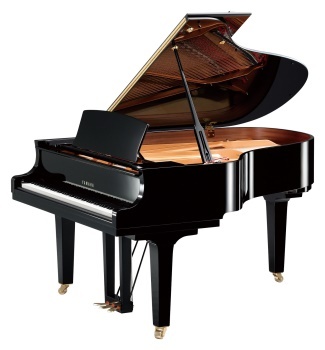 The technically-demanding regulation process that is essential to a grand piano's superior tone is given special emphasis in these instruments.